Considered the most authoritative Australian exponent of abstract expressionism, Tony Tuckson’s career as a painter was somewhat overshadowed by his work as a gallery administrator, whereby he is recognised for establishing the collections of Aboriginal and Melanesian art at the Art Gallery of New South Wales. He studied and collected indigenous art at a time when there was still debate about whether this art had a place in a fine art museum, and greatly assisted its recognition as a unique and highly creative art form. Born at Ismailia in Egypt to British parents and educated at a boarding school in Norfolk, Tuckson studied at the Hornsey School of Art in London from 1937 to 1938, followed by the Kingston School of Art in 1939. During the Second World War he volunteered for the Royal Air Force service and flew Spitfires over northern France before being posted to Darwin in September 1942. 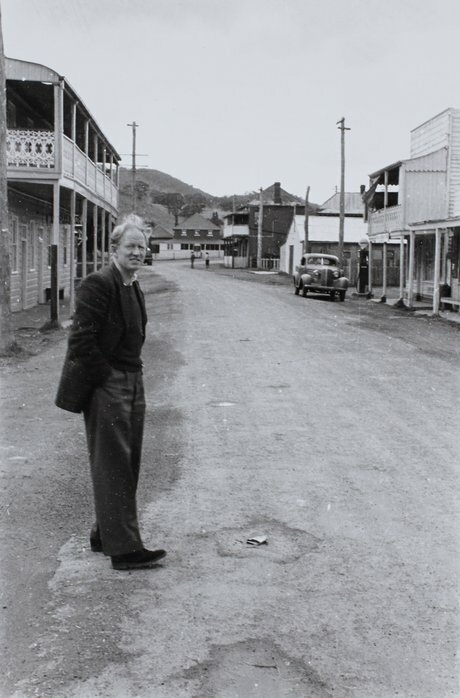 Emigrating to Australia after the war, Tuckson resumed his art studies at East Sydney Technical College from 1946 to 1949, completing the three-year diploma course and graduating with honors under a Commonwealth Reconstruction Training Scheme for ex-servicemen. He counted Grace Crowley and Ralph Balson, who taught abstract painting, as his most influential teachers. 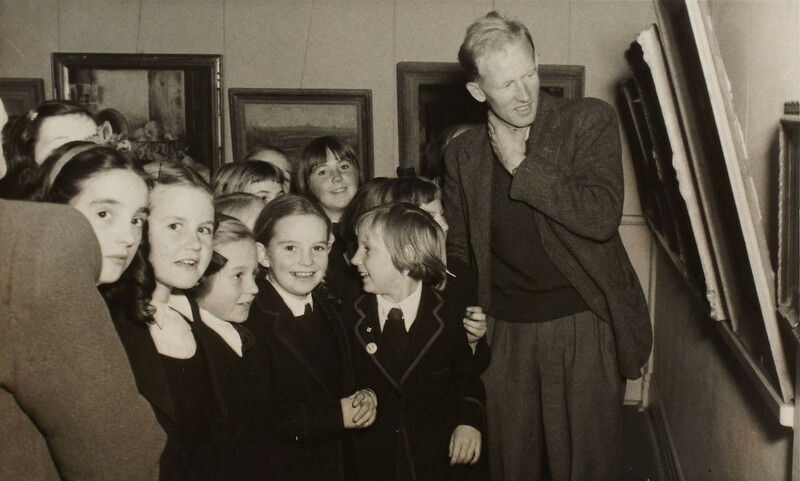 Joining the staff of the Art Gallery of New South Wales as an attendant in 1950, shortly afterwards Tuckson was appointed assistant to the director, Hal Missingham, a position he retained until his death. 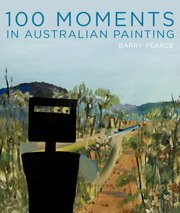 From the late 1950s, he began curating Aboriginal art at the Gallery in an unofficial capacity. 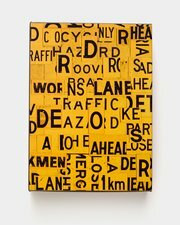 He was the first person in such a role at any art gallery and the first to commission, collect and exhibit Indigenous Australian works for aesthetic reasons – as artworks in their own right – as distinct from objects solely for ethnographic study. Tuckson travelled on collecting expeditions to Melville Island and Arnhem Land in 1958 and 1959, with his wife, Margaret Tuckson, and Dr Stuart Scougall, collecting artworks that are central to the Gallery’s holdings of Aboriginal and Torres Strait Islander art, including the spectacular tutini that are featured in the Australian galleries. 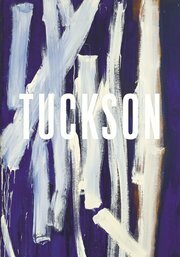 At the instigation of Tuckson, the Gallery began collecting art from the Pacific region in 1962. Starting with purchases from commercial galleries in Sydney, the collection expanded significantly after he travelled to the Sepik region of New Guinea in 1965, resulting in the first major exhibition of Melanesian art to be held at the Gallery in 1966, with Stanley Gordon Moriarty as one of the major lenders. Between 1968 and 1977, the Gallery acquired over 500 works from the Moriarty Collection, one of the largest and most important private collections of New Guinea Highlands art in the world. Spending 1967 on a study tour of the world’s art museums, Tuckson took considerable responsibility for rebuilding developments at the Gallery, overseeing the Captain Cook wing extension from 1968 to 1972. Tuckson was so heavily involved in all Gallery activities that many people knew him only as an arts administrator. 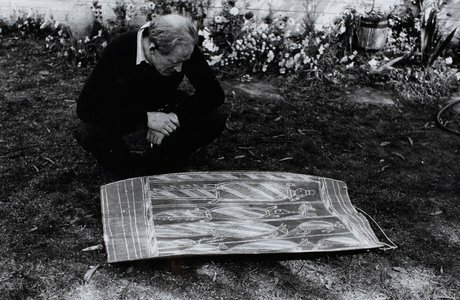 They were surprised in 1970 when he exhibited 65 of his paintings at the Watters Gallery in Sydney to critical acclaim. Drawing and painting all his life, he contributed a number of works to group exhibitions from the 1950s, progressing from portrait and figure studies, such as Interior with figures 1954, to increasingly abstract works that employed simplified form and restricted colour to allow him to concentrate on the act of painting as exemplified in his Drawing c1962-5. While absorbing developments in European and American abstraction and admiring the work of fellow Australian artist Ian Fairweather, the vital force behind his approach was his lifelong interest in Aboriginal and Melanesian art. 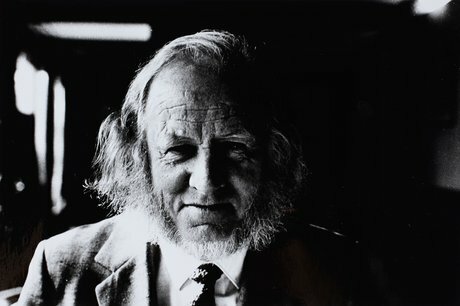 Tuckson held his second solo exhibition in 1973, a few months before his premature death from cancer at the age of 52. Untitled (Pale yellow with charcoal lines) 1973 presents a surface animated by broad, lyrical brushstrokes. Layers of paint in subdued hues have been built up on the hardboard surface. A long, narrow section of the composition is left unpainted, revealing the raw board beneath. This vertical strip, which is reminiscent of a Barnett Newman 'zip’ – and which is echoed in the charcoal lines drawn on the painted surface – brings a host of allusions into play with the painting. A memorial retrospective of Tuckson’s work was held by the Gallery in 1976 followed by a major touring survey organised by the Heide Museum of Modern Art, Melbourne, in 1989 and the travelling exhibition Painting forever: the art of Tony Tuckson in 2000.